I really like curry and other hot, spicy foods. However, sometimes I’m a bit too generous with the chili and pepper and end up making it too hot! Luckily, I have a perfect solution for when this happens – lassi. 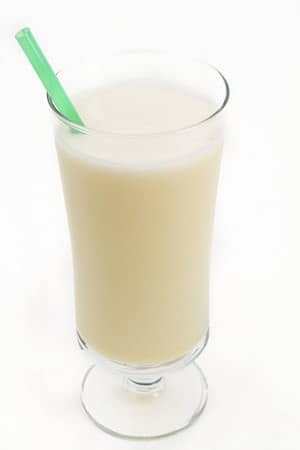 Lassi is a traditional Indian drink that is often served as an accompaniment to curry and other spiced foods. It’s cooling and refreshing, and can really take the heat out of an overly hot meal. It’s also sweet which is a nice contrast to spicy, savory food. 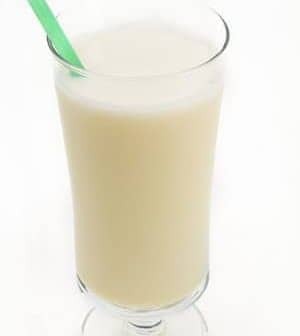 The next time you make a curry, make some lassi too – especially if any of your dining companions are not so good with hot food. You can also have this as a quick-and-easy breakfast or any other time you fancy a refreshing drink. It’s very cooling on a hot day. Cut the top and bottom off your pineapple and then, carefully, remove all the skin. Chop the flesh into roughly one-inch cubes and then put them in your blender, the blender I use and my favorite models explained here. Add all the other ingredients and then blend on slow and then high for 30-seconds, until the mixture is smooth and free from lumps. Serve immediately. If your blender has a small motor, you should crush the ice before adding it to the jug. Blenders with small motors are not great at smashing big ice cubes. However, if you have a powerful blender, just toss them in whole. Use your blender and prepare healthy soups, ice creams and more. All my blender recipes here.